Printed from http://www.bodytalksystem.com//learn/news/article.cfm?id=890 on Apr 22, 2019. What do BodyTalk, two 29-year old veteran CBPs and Miami have in common? 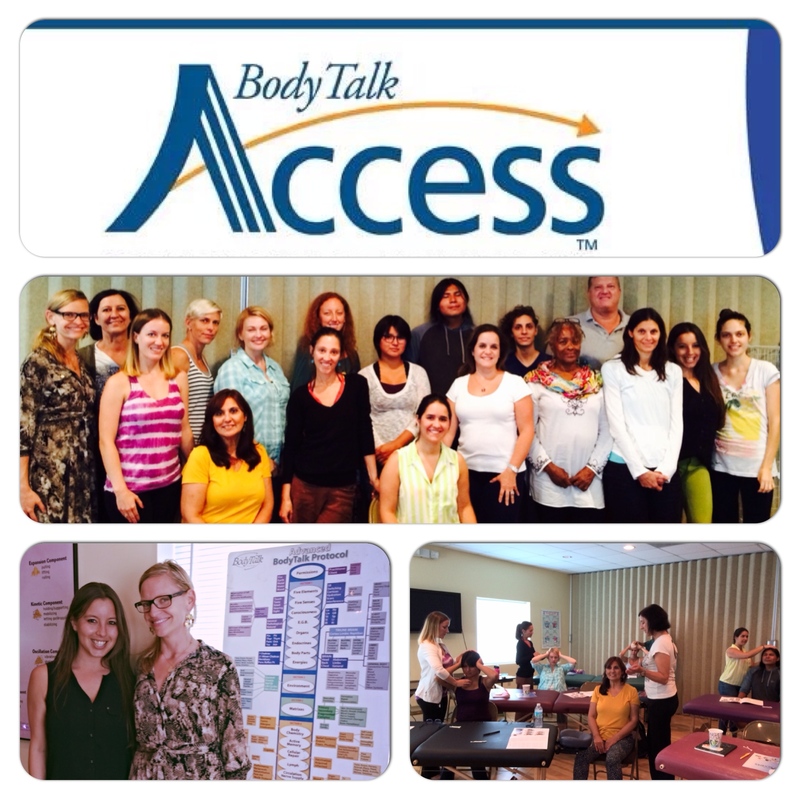 Saturday, June 7th was BodyTalk day in Miami with two powerhouse events happening simultaneously! Elzabieta Kosmicki flew in from Denver, Colorado, and joined Maina Campos in co-teaching the BodyTalk Access Program in Miami, Florida, to 18 students eager for their joint perspectives on the techniques. Sponsored in part by the Be Healthy Foundation, the 501(c)(3) BodyTalk not-for-profit organization, which recently also backed the BodyTalk Initiative project in the Philippines. BodyTalk Access scholarships were offered to the residents of the Lotus House, a Shelter for Homeless Women and Children, which has an on-going BodyTalk project headed by CBP Belkis Galainena that began 7 years ago, along with volunteer participation from a few CBP members of South Florida BodyTalk Association. Both Elzabieta and Maina have 20 years of combined national and international experience within the BodyTalk matrix, as well as clinical experience serving underprivileged populations and bringing BodyTalk into the awareness of the new generation. Health Equity from a community perspective is a strong passion and driving force behind both their education efforts and private practices. Maina has been instrumental in the Brazil BodyTalk matrix and in bringing BodyTalk into hospital-based practices through her many projects, community outreach, and public relations focus. Maina's international work inspired her to begin the BodyTalk Be Healthy Ambassador program. This program is dedicated to providing Certified BodyTalk Practitioners around the world with a platform and tools needed to support the work they are doing with underserved populations and institutions, as well as the expansion of BodyTalk into new paradigms of healthcare on a large-scale public level. Elzabieta has been working in health disparities though non-profit work with at-risk youth and incarcerated women for over a decade using BodyTalk and has written and delivered various population-specific health curriculums in the Denver area. Her clinical work with BodyTalk has been focused on working with HIV, domestic violence, substance abuse, and sexual assault though individual and group treatments. Elzabieta is also committed to bringing the information gap as it relates to consciousness-based healthcare and main stream media; she hosts a 30-minute news and public affairs radio show called Wellness Wednesdays focusing on the cutting edge in healthcare topics on the popular KGNU FM Boulder/Denver-based radio station. Meanwhile, as the 18 Access students were happily learning to tap themselves out at Educating Hands School of Massage, there was also a BodyTalk clinic day being held across the bay in Miami Beach. The clinic day packed in about 20 clients during a 4-hour period, with BodyTalk mini-sessions being delivered to many first timers by Dr. Janet Galipo, Senior Advanced CBI and President of the Be Healthy, Inc. Foundation. Saturday's clinic event was jointly hosted by H3: Health.Hope.Healing, a local non-profit cancer support group. For more information about the Be Healthy Foundation, an International Non-Profit BodyTalk Outreach Organization, please visit: www.behealthyinc.org.